A Ramsey County jury has cleared Diamond Reynolds of felony assault charges. 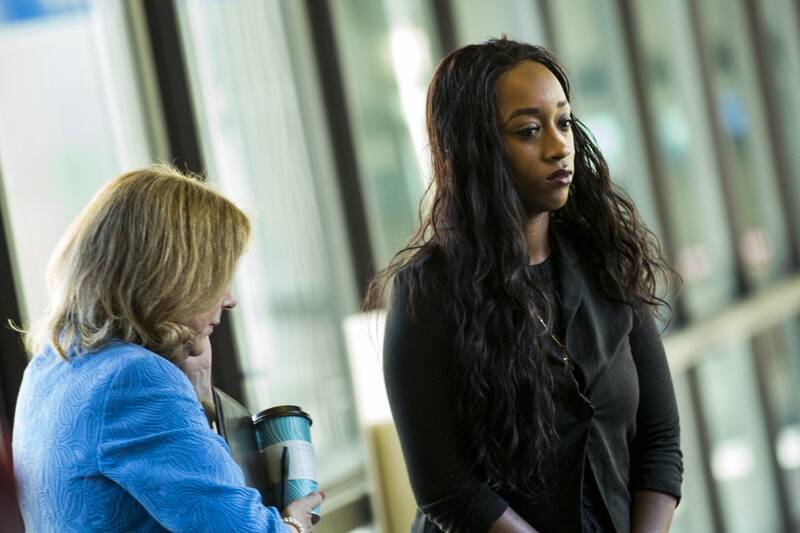 But jurors still found the girlfriend of the late Philando Castile guilty of misdemeanor assault in a hammer attack on a woman early last year. Reynolds is best known for live-streaming the moments immediately after former St. Anthony police officer Jeronimo Yanez fatally shot Castile during a 2016 traffic stop in Falcon Heights. Reynolds testified in Yanez's trial, where jurors found him not guilty of manslaughter and felony weapons charges. Mike Padden, Reynolds' attorney in the assault case, said his client was misidentified by the hammer attack victim. "She's been demonized time and time again and it is really frustrating for me and my co-counsel, but she perseveres," Padden said. However two other women who pleaded guilty to the attack said Reynolds was involved. Prosecutors could not be reached for comment Saturday. Padden said he'll ask a judge to give Reynolds probation rather than jail time. Sentencing is scheduled for May.